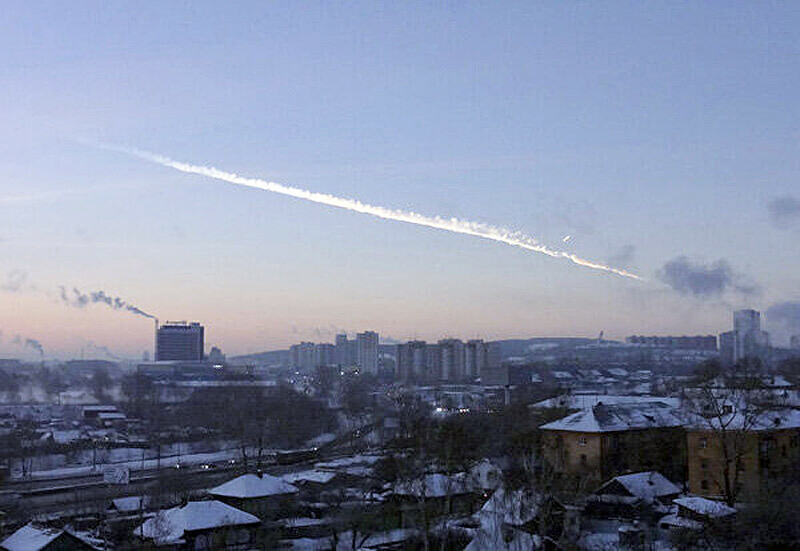 Feb. 15, 2013 began as an ordinary day, but it quickly turned the whole city of Chelyabinsk (1,200 miles east of Moscow) upside down. A flash in the sky and an explosion left countless broken windows, and more than 1,000 people injured. But some entrepreneurial residents were quick to make profits on the unexpected space object. 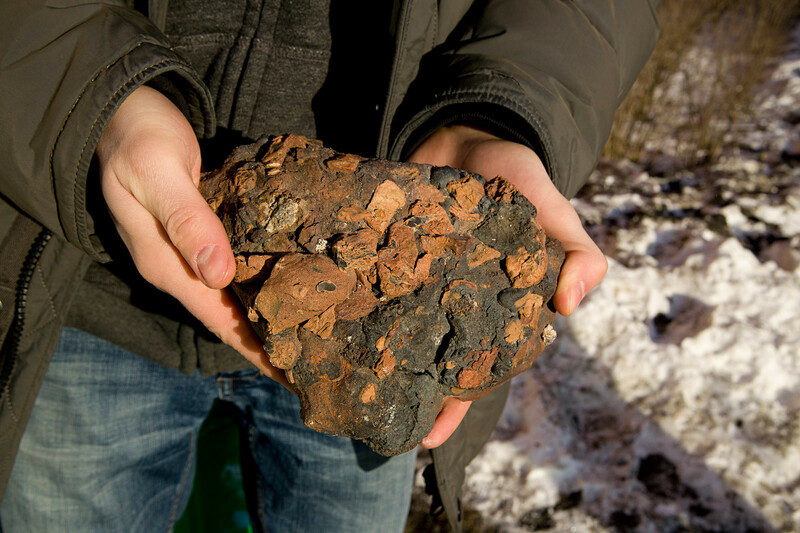 “People started making money on the meteorite the very day it fell outside the city. 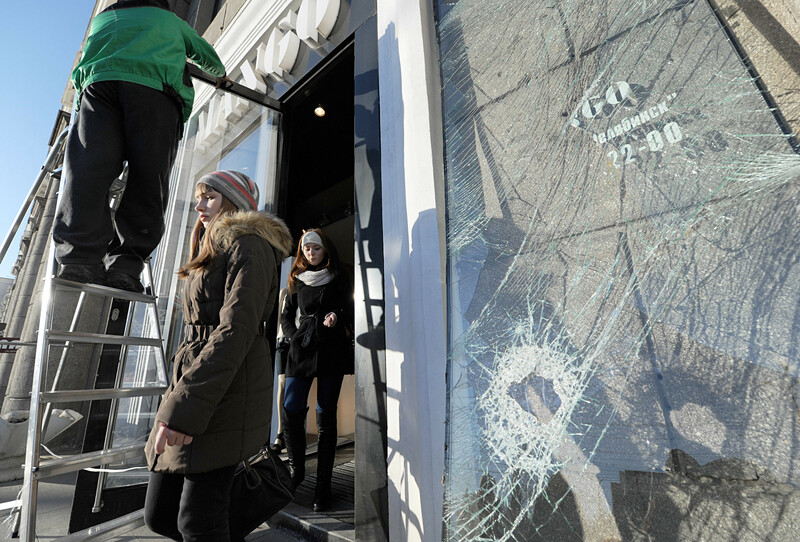 The mayor of Chelyabinsk ordered all broken windows to be replaced with new ones for free. 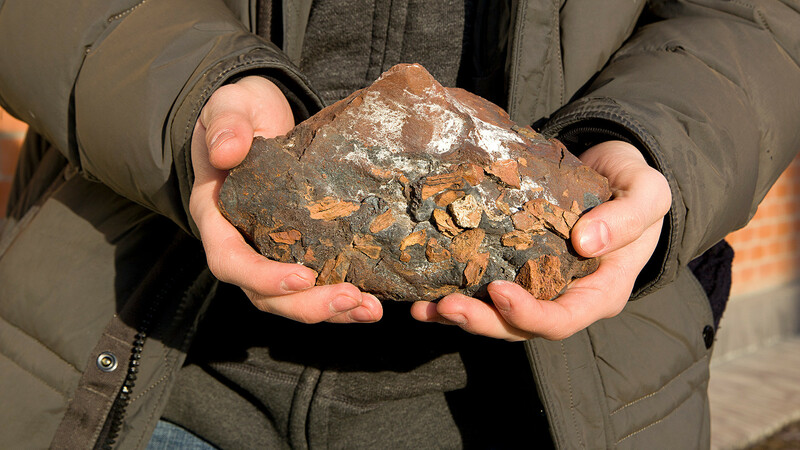 Those who had old shabby frames and glasses were quick to break them and then blame the meteorite for the damage,” said a guide at the State Historical Museum of the Southern Urals. 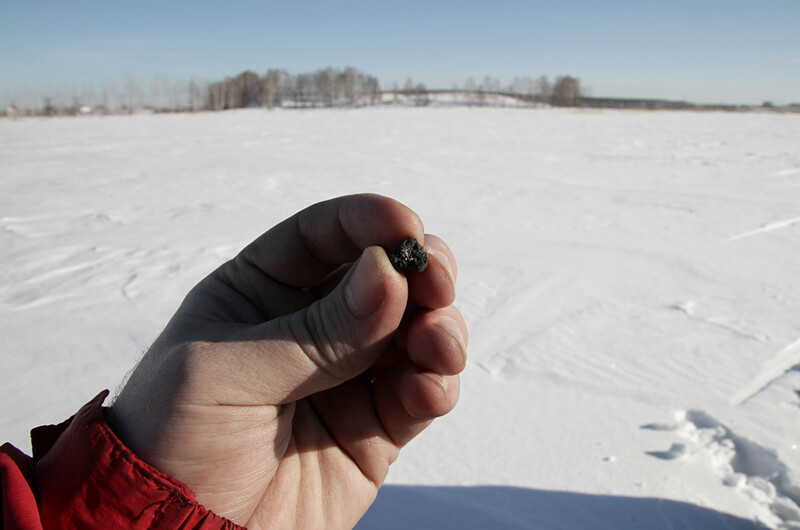 A specially formed expedition discovered hundreds of meteorite fragments, small and large, at the impact site and near it. 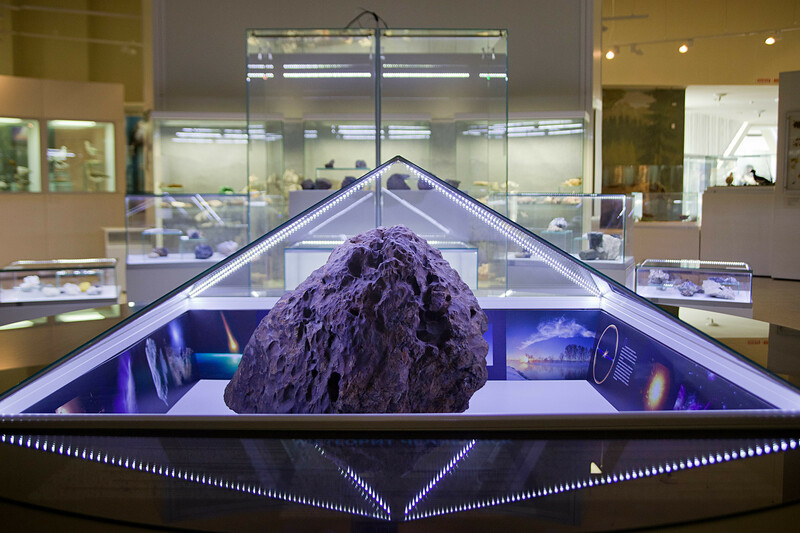 The biggest fragment found is currently exhibited in the State Historical Museum of the Southern Urals in Chelyabinsk. 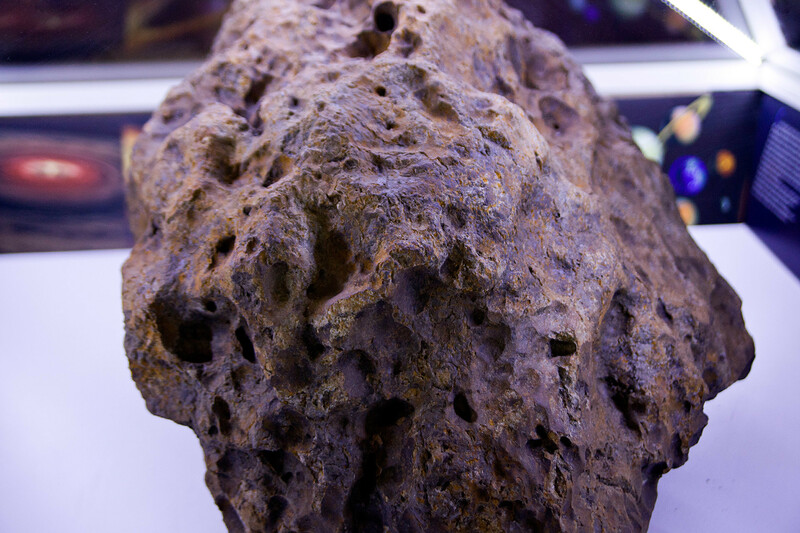 Burned and pockmarked with holes, this particularly massive rock is not for sale. 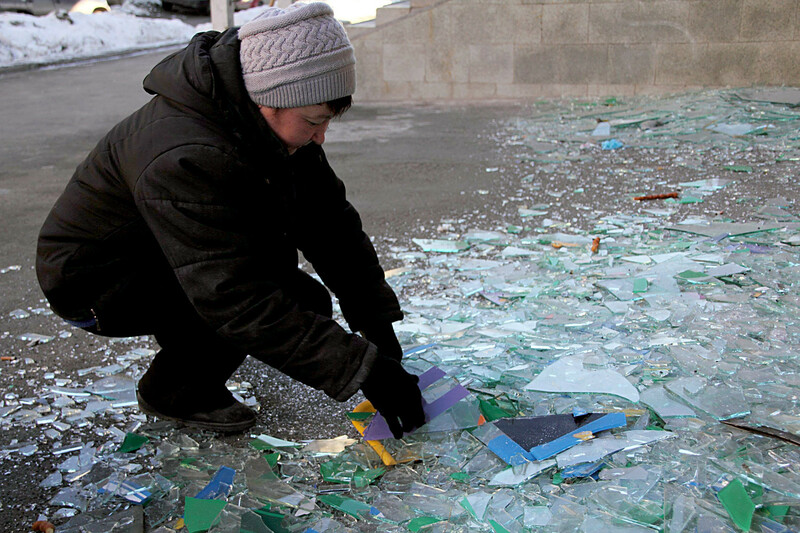 Smaller fragments are in demand even five years after the incident. These pieces of different sizes are sold in the museum. Each piece comes with a certificate verifying its origin. More of the same is sold at the local airport and at kitsch shops in the city. 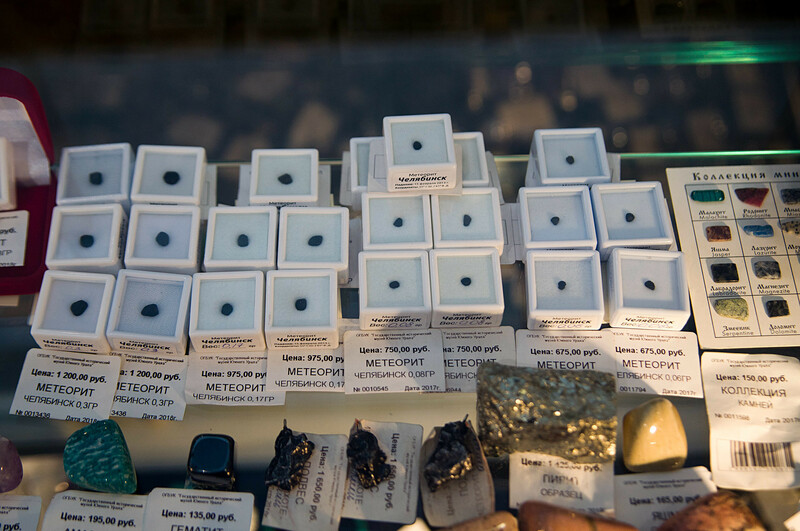 Prices vary from 675 rubles ($12) for a tiny piece weighing 0.06 gram, to as much as 82,500 rubles ($1.440) for a 91-gram fragment. 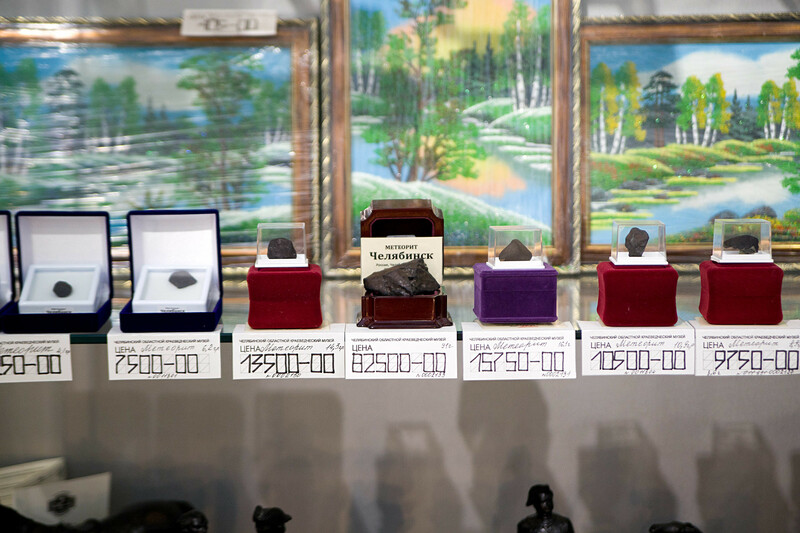 The most impressive specimens are sold under the table, however, and the Internet is full of ads offering pieces of the Chelyabinsk meteorite. The price on the black market ranges from only a few thousand rubles ($40-$50) for smaller fragments, to 2.1 million rubles ($37,000) for a 3.4-kilo piece. The authenticity of black market rocks is highly questionable, however. 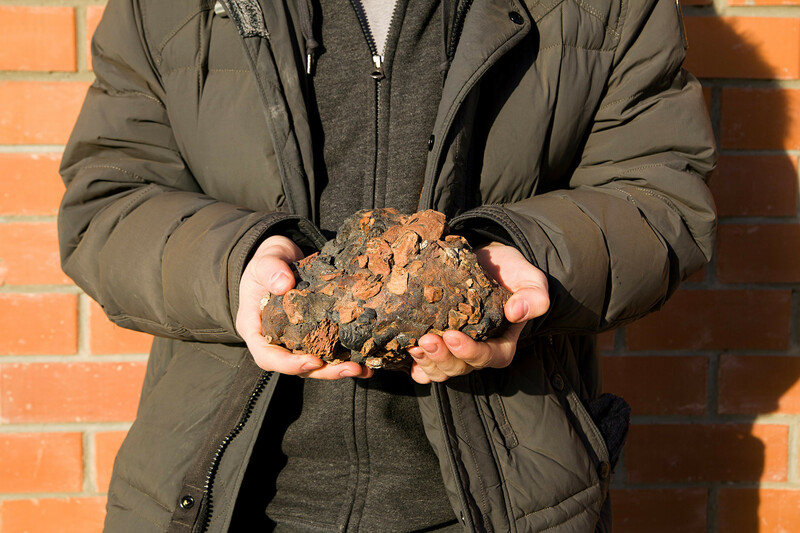 Chelyabinsk resident Konstantin is selling this alleged meteorite for 100,000 rubles ($1,750). He admits that the piece will require scientific authentication before the deal can be done. Cautious of a potential police set up, he left the rock in a nearby shop, bringing it only after careful examination of the correspondent’s press card. Apart from selling the pieces, the locals largely failed to commercialize the meteor’s explosive appearance over their city. 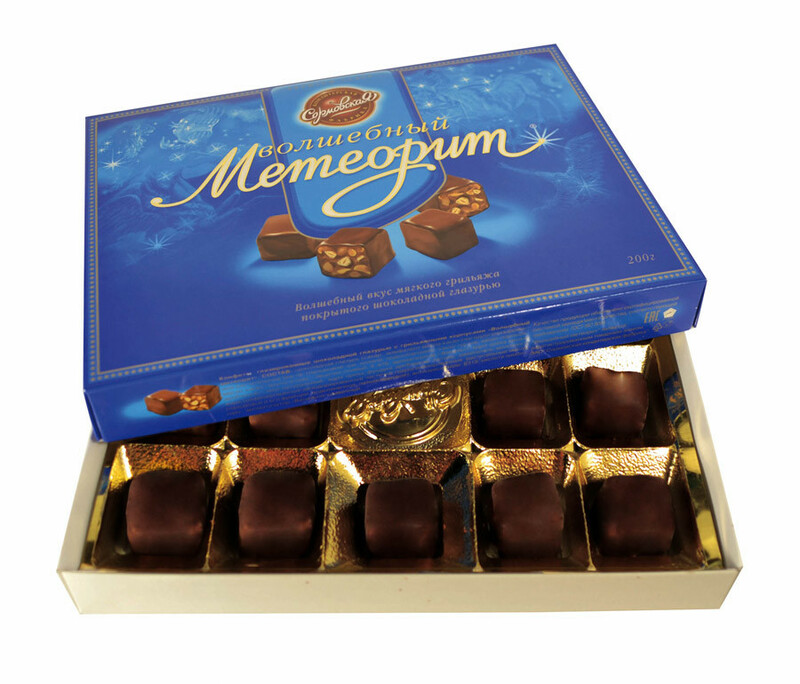 The famous candies, aptly named ‘Meteorite,’ have disappeared from shelves and are hard to come by. There is neither a craft beer named after the meteorite, nor souvenirs dedicated to the day when the sky over this Ural city was illuminated by an alien fireball falling to Earth.